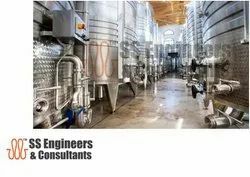 Our range of products include ammonia ice bank tank, steam jacketed vessels, road milk tanker, dimple jacket tanks, limped coils tank and mobile ice bank tank. 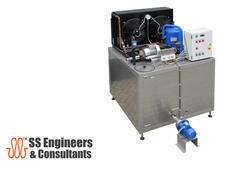 We are a renowned organization that is engaged in manufacturing and supplying precisely Ammonia Ice Bank Tank. SS Road milk tanks for milk transporation, Road Milk Container, Road Tanker, Transport vehicle, with Base frame to suit the chassis of different vehicles, comes with locakable valve box. 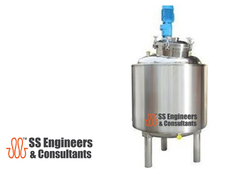 The Dimpled stainless steel Fermentation tanks are widely applied in food dairy, brewing, pharmacy, fine chemical engineering and biological engineering industry. 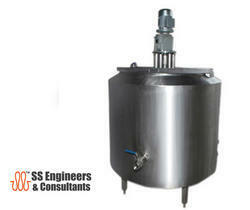 To meet the precise needs of our patrons, we are engaged in manufacturing and exporting Limped Coils Tanks. Dairy plant, chemical industry, food processing companies and pharmaceutical industries, are some of the places where the rendered limed coils tanks are highly demanded. 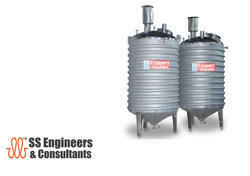 By using advanced machinery, the rendered limped coil tank is made as per the industry laid norms. 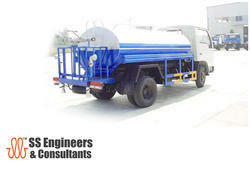 We are a renowned organization that is engaged in manufacturing and supplying precisely ICE BANK TANK. Triple jacketed suitable for steam heating.